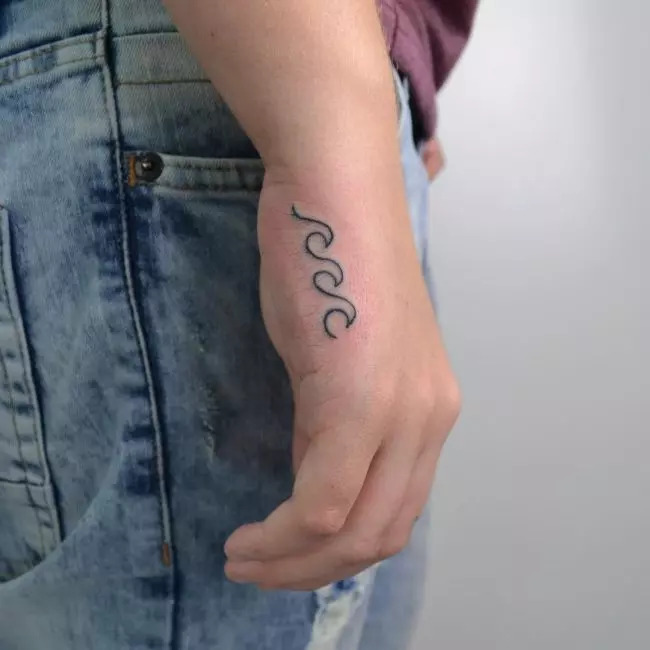 Just like any other body marking a wave tattoo can be a simple image that you get because you find it fashionable or an elaborate design with deep symbolism. Regardless of what you choose and why you have it, the wave is still a beautiful totem that is a favorite of tattoo enthusiasts globally. It is one of those tattoos that have always been there and few people bother to understand where it comes from or when it came into the scene. However, you do not have to worry about all this because it is a cute totem and it is also not controversial, and so you can have it just because you like how it looks. 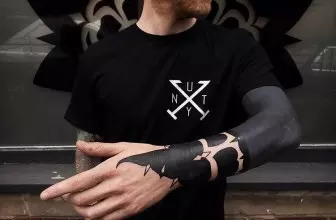 With these types of tattoo, it is not always possible to tell with certainty where they came from because different cultures and societies have been drawing them for thousands of years. In fact, the wave is one of the most common tattoos with communities that have been living near the ocean for centuries. There is enough historical evidence to show that the seaside and island communities in almost all the continents of the world would draw waves and the other things they associate with the ocean in caves and later in their body. The Samoans, Maori, and other Pacific Islanders are some of the people with the oldest accounts of these tattoos, and this is simply because the ocean was part of their daily life. For most Pacific Islanders the ocean was sacred because it provided them with food and so drawing a wave tattoo was one way to show their respect for the sea and its might. However, in the ancient days, the totem was just a plain single line design. Body art designs and technologies have been improving over the years, and these simple patterns have transformed into intricate and very elaborate works of art. This transformation has also seen the popularity of this totem grow tremendously and spread far and wide with people that live inland and rarely see the ocean now embracing it. Most people will get a wave tattoo just because they find it trendy and not necessarily because they know what it means. 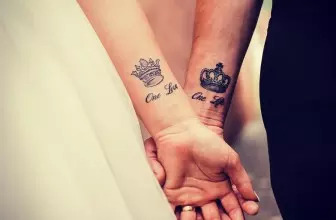 Although this might not be wrong (a tattoo should be beautiful), it is a good idea to know what it symbolizes because this will make it feel special. The wave is a representation of the ocean and so having this tattoo can symbolize or mean that you come from a place near the sea. And so some people will have the totem to show others where they come from or as a permanent reminder of their home regardless of where life might take them. For others, the wave represents the constant motion of life because the ocean does not stop moving and this is the reason why the waves form. This tattoo can symbolize the need to keep on moving because time will not wait for you and you will also not be alive forever. Waves are a symbol of the mightiness of nature, and they show that despite all the “power” that humans think they wield it is still nothing when you compare it to elements of nature. 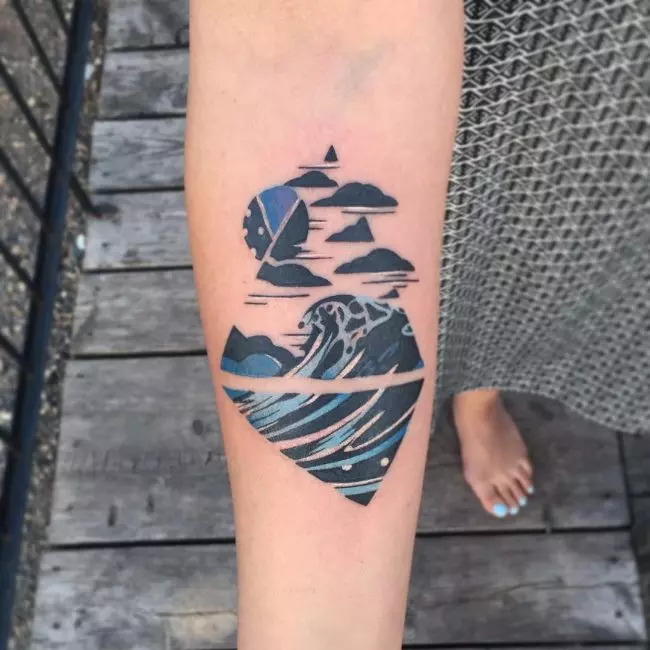 There is nothing that can stop waves from forming and so with this tattoo you will have a permanent reminder to be humble because you are something small and insignificant when compared to nature. Some people will have this totem to raise awareness on the need to conserve the ocean and everything that lives in it. Humanity is the biggest threat to nature and so having this tattoo can help you play your part in raising awareness on the need to conserve the oceans. A wave can also be a symbol of purity, and this meaning comes from the fact that it is just water being blown by the wind. Water is a symbol of purity and life and so you can also have this totem to symbolize this. Surfers will have this totem to show their love for their favorite sport and sometimes they will also add in a surfboard to their tattoo to make its meaning and symbolism very precise. The other meanings that you can associate with these symbols include emotion, nature, subconsciousness, fantasy, and dreams. The designs or types range from simple single line waves to some more elaborate 3D ones complete with beach scenery. Whether you prefer simple or sophisticated ones, this body marking will still work for you. The following are few examples of this beautiful body marking. Hokusai wave is one of the most famous images in the world and not only as a type of tattoo but also as a magnificent work of art. This wave is the work of a 19th-century Japanese artist and most scholars considered it as one of the most precise depictions of an ocean wave. The original image of this wave was on a woodblock print work, but it is now on the bodies of thousands of people across the world, and it is by far the most famous type of wave symbols. 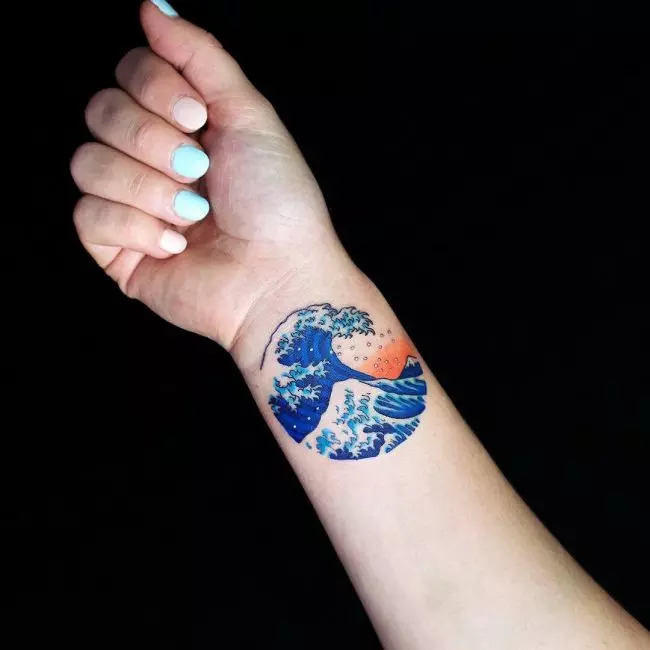 If you love waves, the chances are that you also love sea life, and this is why it is common for people to add some animals to their wave tattoo. 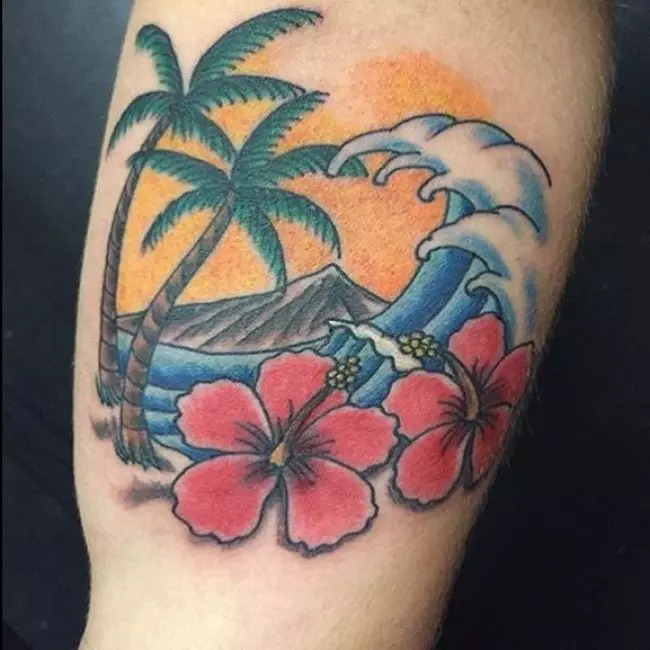 There are many designs available for this type of tattoo, and some will have the dolphin, shark or any other sea animal in the middle of the wave while others will draw it at the top. 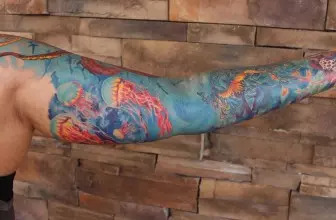 Sometimes some tattoo lovers will also use the waves to highlight other animals that do not leave in the sea such as eagles and mythical creatures like dragons. 3D is one of the best if not the best thing to have ever happened to tattoos because it opened up a new world of possibilities. Having a wave in 3D will not only make it look realistic, but it also adds to the beauty. And if you have a skilled artist he can be able to capture even the minor details and hence make sure your totem looks stunning. The art of tattoo has evolved a lot over the years, and different artists know specialize in particular genres of tattoos. There are some that specialize in creating images from dots, and so you can also have a dot wave totem. It is a very attractive body marking for those that love dot artwork, and it can also have deeper symbolism than those that use the conventional designs. Dot waves are unique, but they might also be more painful than other types. It is hard to come across any modern tattoo that does not have a watercolor variation. The tattoo lovers of the present day love watercolors because they brighten their totems and also make them look trendy. For the watercolor wave, some people will prefer to use different shades of blue so that it can look realistic while others will combine different colors to make a very colorful image. The original tribal wave tattoo was all about drawing some simple lines and repeating them to create the wavy look, but this design has seen a lot of transformation over the years. Modern tribal waves have some elaborate patterns, and they make fascinating body art. Tribal art is very popular, and so you can be certain that drawing you totem in this lovely design will make it look very modern. It is also a perfect addition to other tribal tattoos that you may have on the body. Where you place, your tattoo will determine how attractive it will appear and in some cases it can also influence its meaning and symbolism. The wave is a simple image, and this gives you the freedom to have it anywhere that you want it is important to ensure that wherever you place it is suitable for the design and size. It is common to see people with waves as a sleeve tattoo and others drawing them on the thigh or the leg. 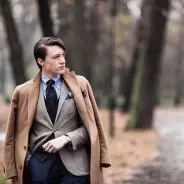 Just like with most other tattoo designs men prefer to have theirs on the back, chest and upper arm because most believe that getting inked on these places looks masculine. The inner arm, rib cage, and lower back are perfect locations to have some medium size waves while the ankle, wrist and behind the ears are the best places to draw small ones. If you spend hours on the beach admiring waves, or you just love everything about the ocean, then a wave tattoo is perfect for you. With this beautiful body marking, you will always have something beautiful to put a smile on your face. And with the many stylish designs available you can be confident that the totem will look remarkable on your body.